We encourage you to call or email if you believe your situation is unique and these answers do not fully answer your questions. We deliberately maintain a flexible and open environment and welcome questions, suggestions, and interactions with our clients, colleagues, and friends. What does executive coaching entail and why would we be interested? “Executive coaching” is a one-on-one developmental experience. Those who are best suited for executive coaching are mid-to-executive level leaders. This type of development allows the leader to receive very targeted feedback and development specific to his or her needs. The one-on-one relationship between the leader and coach provides a safe and confidential place where the leader can excel in a new position, prepare for the next level of leadership or fix some derailing leadership behaviors. The relationship is beneficial for continue development and thought partnership and provides the leader with the unvarnished and unbiased truth from an outside perspective. While every coaching relationship is tailored to the leader, EDA’s approach typically includes a battery of assessments, a series of interviews with key constituents, private feedback, developmental planning, problem solving, troubleshooting organizational issues, coaching, and support. 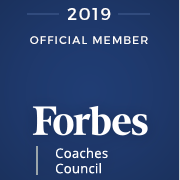 EDA’s coaches are highly sought after as some of the few in the industry who coach at the top of the house of Fortune 500 companies as well as high level individual contributors and leaders throughout the leadership pipeline. Our coaches are not just academics. They have advanced degrees and most have held leadership positions in large and medium-sized organizations. For more information on executive coaching please contact EDA. Motivation and morale have become big problems in our organization. Can you help? We would love to help. For motivation and morale to change, the leaders of the organization must be open to feedback and willing to engage in culture change. If your leaders are open to a discussion, our first step will be to gain buy-in from the senior leaders and then analyze the situation. Once we understand the issues, our team can work collectively with your leaders and HR/OD team to design and implement moral boosting solutions that benefit both the employees and organization by aligning with the overall strategic goals and objectives. Contact us so that we may discuss the factors specific to your situation. I am a consultant and interested in working for your company. What should I do? EDA typically adds consultants only when we have a referral from one of our trusted team members or clients. However, we do keep a database of resumes/credentials of organizational consultants around the country and occasionally tap into this pool to fill a specific need or location. We will be happy to add your information to our database. Please contact us for information on how to send your resume. What is the cost of an initial consultation to talk about our organizational or people challenges? There is almost never a cost for an initial consultation. These meetings are an integral part of our business and give both parties the opportunity to determine whether we may be good partners in addressing the issues. If both parties want to proceed, EDA will then provide you a detailed proposal of services tailored to your unique needs and wants. What does it cost to use your services for our organization? Since 90% of our service delivery is tailored to your unique needs, only a small part of our services actually have set pricing and even that is often flexible based on volume. Pricing depends upon the projected time investment of our people as well as other pertinent factors. We will be happy to discuss this and/or provide a proposal for services that are specific to your situation. There is absolutely no charge to have a discussion with us about your specific needs and we would love to visit with you to see if our services and consultants are the best fit to achieve the results you desire for your leaders, teams or organization. All of our proposals contain detailed pricing information. Please contact us to learn more.